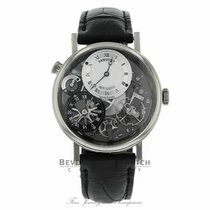 Breguet Marine Royale Alarm 18K White Gold Case Rubber Strap Deployment Buckle Silver Dial Watch 5847BB125ZV This watch has never been sized or worn. Watch comes complete with packaging, manual and certificate of authenticity. International two-year warranty. Papers dated February 2011. 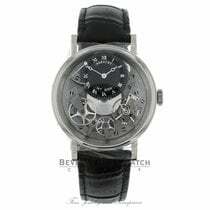 Beverly Hills Watch Company is not an authorized retailer or in anyway affiliated with Breguet.